As of August 1st 2013 subscription model will no longer be availble as most of you prefer to buy individual tones directly from your device and our complete catalogue is a bit overwhelming. 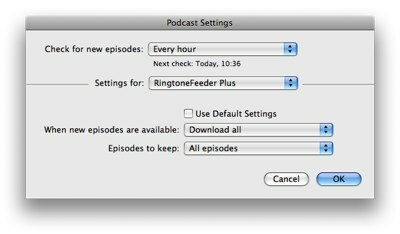 If you are en existing subscriber we will continue to add new tones every week as usual, however new subscriptions is no longer be offered. 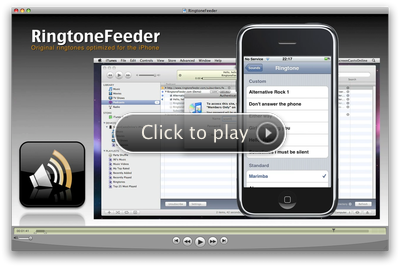 You will still be able to buy TonePacks which wil contain some of the most popular tones and more packs will be made available. 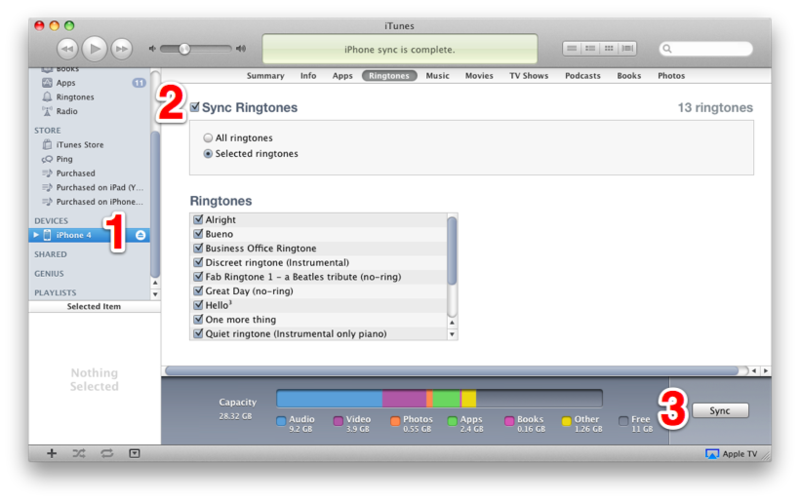 Why is there no Ringtones tab in iTunes? 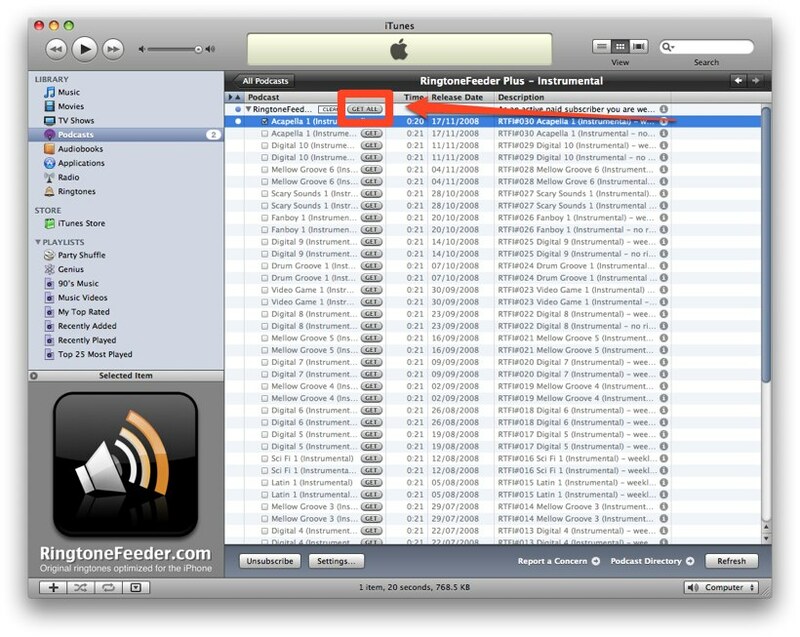 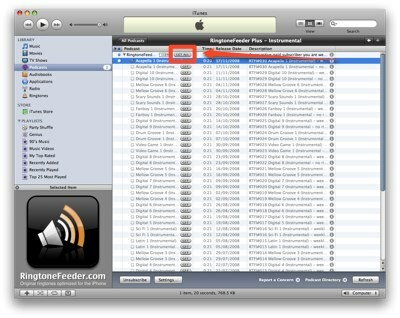 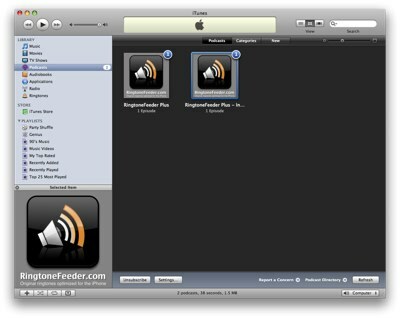 For the Ringtones tab to show up you must have a ringtone installed in iTunes (10.4 or later) - please install a sample ringtone, simply double-click the RingtoneFeeder.m4r file and it will install in iTunes. 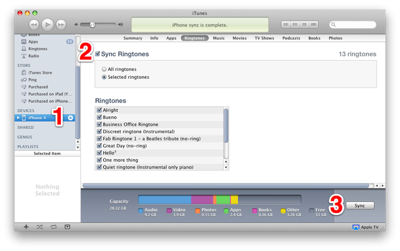 The Ringtone tab will appear once the iPhone is plugged in or connected via WiFi sync. 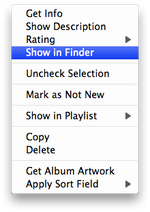 If you are using iTunes 10.3 or earlier you need to make use of Smart Playlists, please follow these instructions. 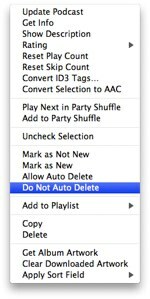 Please note as of iTunes 10.4 you no longer need to make a Smart Playlist - the ringtones automatically shows up in the "Ringtones" tab when selecting your iPhone from the Devices list on the left. 1 Open iTunes and click on your iPhone under "Devices"
2 Click the Ringtones tab and Tick the "Sync ringtones"
Settings » Sounds » Ringtone on your iPhone. 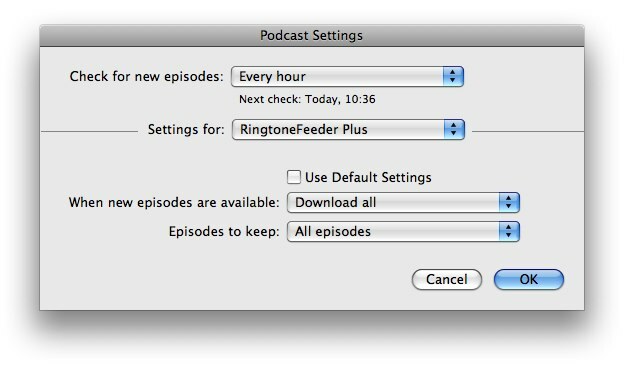 In iTunes 8 or later only the first item is downloaded when you first subscribe - the following steps will ensure all the ringtones are automatically downloaded and kept on your machine.